Pension freedom 2015 – a flexible future? In the 2014 Budget, George Osborne announced ‘pensioners will have complete freedom to draw down as much or as little of their pension pot as they want, anytime they want’. Some of the changes have already taken effect but the big changes will come into effect on 6 April 2015. This briefing details the proposals ahead for those with money purchase schemes. The emphasis is on the tax treatment and some tax planning points that arise from the proposals. There will be consequential implications for defined benefit pensions and the Government will be consulting on these. The ability to take a tax free lump sum will be retained after 6 April 2015. Currently around three quarters of those retiring each year purchase a lifetime annuity and many will continue to do so. For income drawdown there are limits on how much people can draw each year, which are calculated by reference to annuity rates calculated by the Government Actuary’s Department. There are some sub options. For those who have a ‘guaranteed income’ of £12,000 there is no limit on the amount that is taken from the pension fund (but no further tax relievable pension contributions can be made to any pension scheme). A short-term annuity policy can be purchased by passing some of the pension fund to an insurance company in exchange for an income stream for up to five years. The income drawdown limit rules continue to apply where relevant. After the fixed term the policy typically offers a guaranteed maturity value which can be invested to provide the most suitable income requirement from that point. For those who are 60, immediate access is available to some small pension funds (for example if a person has a small pension fund of £10,000 or less). An annuity provides a secure known income as the pension is used to purchase an income stream from an insurance company. The insurance company therefore takes on the risk of paying an income over a person’s lifetime. Under income drawdown a pension fund remains invested. The person decides how much income to take and how much capital will be eaten into as a consequence. What are the tax effects of the current system? The tax free lump sum is, of course, tax free. If immediate access is made of a small pension fund, 25% is tax free and 75% is taxed as income. These tax principles are carried forward into the new system. From 6 April 2015, the ability to take a tax free lump sum and a lifetime annuity remain but some of the current restrictions on a lifetime annuity will be removed to allow more choice on the type of annuity taken out. The rules involving drawdown will change. There will be total freedom to access a pension fund from the age of 55. Whether that is a sensible thing to do depends on the financial position of the person. A significant factor in making that decision may be the tax effects of accessing the fund. In addition immediate access to some small pension funds will remain and these can be accessed from the age of 55 and not 60 as currently. When an allocation of funds into a flexi-access account is made the member typically will take the opportunity of taking a tax free lump sum from the fund (as under current rules). The person will then decide how much or how little to take from the flexi-access account. Any amounts that are taken will count as taxable income in the year of receipt. So, as a tax planning point, a person should decide when to access funds depending upon their other income in each tax year. The ability to invest some (or all) of the amount in a short-term annuity will remain. In September 2015 Rita has £300,000 in her pension fund. She decides she would like to access sufficient of her fund so that she can obtain £25,000 as a tax free lump sum. She allocates £100,000 of the funds to a flexi-access account. She receives £25,000 tax free. The remaining £75,000 is therefore in her flexi-access account. She decides to take no further amounts in the 2015/16 tax year but takes £5,000 in the 2016/17 tax year. She will be subject to income tax on the £5,000 in 2016/17. Derek has several pension funds. One of the funds is worth £40,000. He decides to take the whole fund as an uncrystallised funds pension lump sum. £10,000 will be tax free but the remainder is taxable as income. The Government is alive to the possibility of people taking advantage of the new flexibilities by ‘recycling’ their earned income into pensions and then immediately taking out amounts from pensions. To appreciate the potential opportunities we need to consider the current and prospective rules for obtaining tax relief on pension contributions. An individual is entitled to make contributions and receive tax relief on the higher of £3,600 or 100% of earnings in any given tax year. A person’s employer can contribute into the scheme on behalf of an employee and can contribute in excess of a person’s earnings. However an ‘annual allowance’ sets the maximum amount of tax efficient contributions. The annual allowance applies to the combined contributions of an employee and employer. Amounts in excess of this allowance trigger a charge which has the effect of eliminating the tax relief available on the excess contributions. The annual allowance is £40,000 (but there may be more allowance available if the maximum allowance has not been utilised in the previous years). 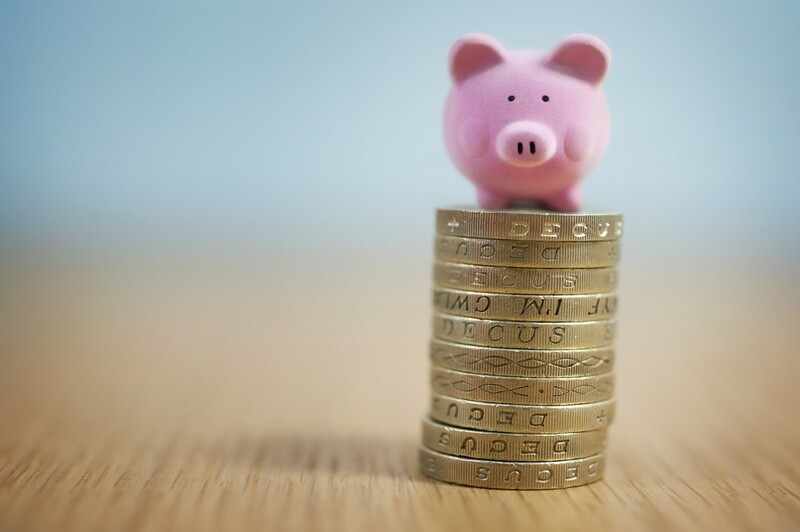 Under the proposed rules from 6 April 2015, the annual allowance for contributions to money purchase schemes will be reduced to £10,000 in certain scenarios (and there will be no carry forward of any of the £10,000 to a later year if it is not used in the year). Arthur is 56. He is employed and his annual salary is £100,000. He decides to contribute £40,000 into a pension fund and then takes all the amount out as an uncrystallised funds pension lump sum. Both events take place in 2015/16. His gross income is the same as before the pension contribution (£100,000) but £10,000 of this is tax free. This strategy will not work because he will only get effective tax relief on £10,000 due to the money purchase annual allowance rule. What does not trigger a reduced allowance? no more than the permitted maximum from a pre 6 April 2015 income drawdown fund. The ability to take a tax free lump sum and no income will be a useful tax efficient strategy for people aged 55 who have earned income. In the previous example Arthur decided to contribute £40,000 into a pension fund and then took the entire amount out as an uncrystallised funds pension lump sum. What if he instead transfers the funds to a flexi-access account but only takes the tax free lump sum? He maximises his tax relief and gets £10,000 tax free. Another way of looking at the tax efficiency of this planning is to consider the net cost to him of having £30,000 of investments in his fund. It has cost him £14,000 to obtain £30,000 of pension fund investments. Given the extra freedoms, it is proposed that everyone should have access to free impartial guidance to help them make sense of the options. The Government has now announced that this will be from the Citizens Advice Bureau for face to face guidance and the Pensions Advisory Service by telephone. An online service is also planned.